For in-store inquiries, use sku #2468209. 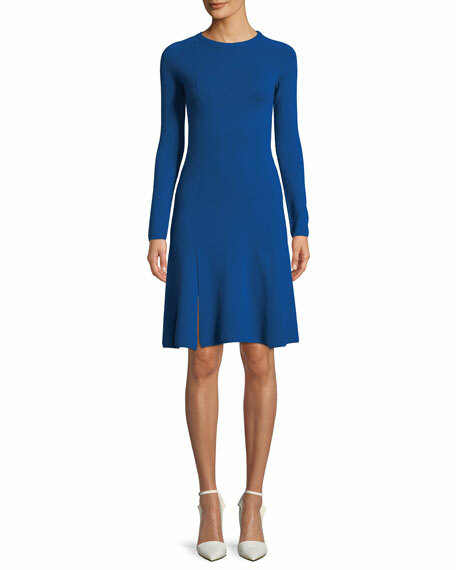 Cedric Charlier knit dress. Crew neckline. Long sleeves. A-line silhouette. Front hem slits. Knee-length. Slipover style. Slim fit. Virgin wool/cashmere. Made in Italy. 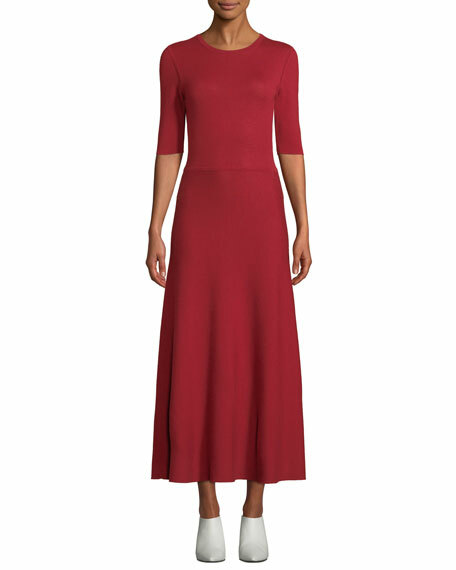 Gabriela Hearst "Seymore" dress in reversible cashmere-merino blend. Crew neckline. Elbow sleeves. A-line silhouette. Slim fit. Mid-calf length. Imported. 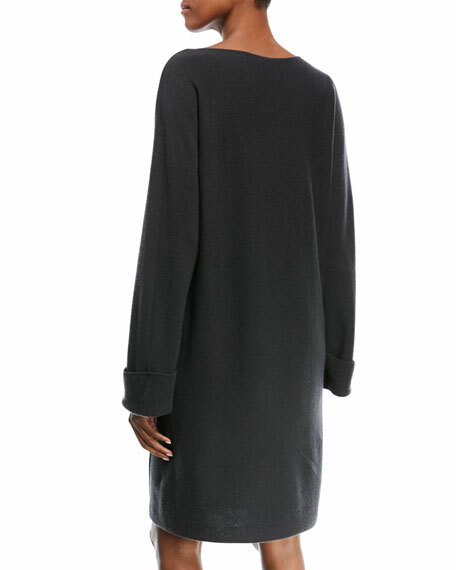 Vince "Poet" dress in cotton. V neckline with fringe tassel ties. Bracelet sleeves. Self-tie string at waist. Relaxed silhouette. Maxi length. Curved hem. Pullover style. Cotton. Polyester lining. Imported. Exclusively ours. (Mineral Stone only) Vince dress in silk. High neckline; knotted detail. Sleeveless. A-line silhouette. Detachable self-tie belt. Midi length. Keyhole back. Slipover style. Imported.